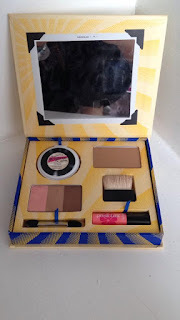 Ive decided that I'm going to do a daily post for the next week of my favourite products so far. 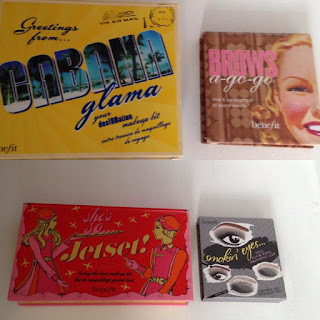 You'll find out that I am a big fan of Benefit Cosmetics and use them on a daily basis and also for a night out! here is my four most used palettes. This palette is perfect for giving you that holiday healthy glow without going away. I have used this once so far for an outdoor party in the day time and i had so many compliments on how tanned and rosy my face looked. The eyeshadows are so gorgeous and neutral to give you a natural holiday look. I brought this kit to take away with me on holiday but from using it already i will be using it for many more occasions. The Foundation and Bronzing Powder are a perfect colour for my skin tone. I am fair to medium and i feel this gives me that extra boost of summer sun. The brush is just the right size for brushing over your cheeks!